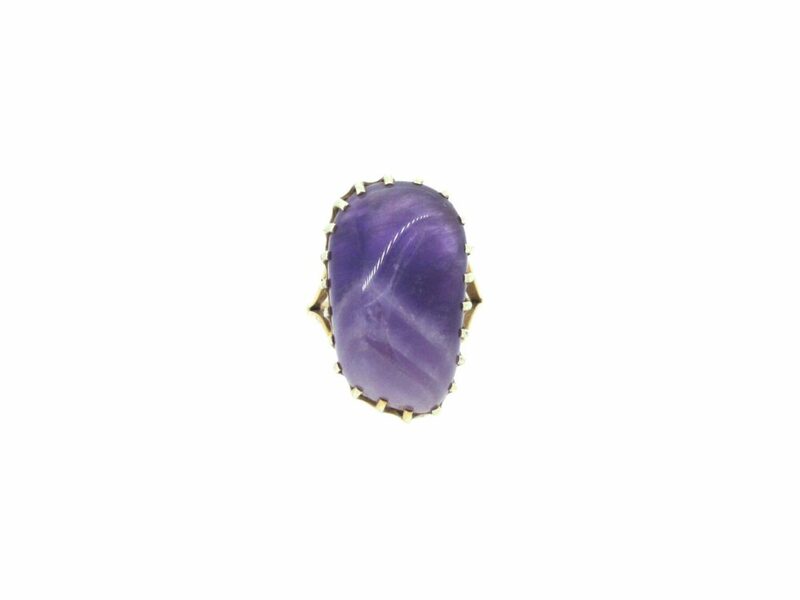 A large uncut, polished amethyst stone, claw set in 9ct gold. Dimensions approx. 22.5mm x 13.5mm. Pre-owned.